Archives for July 2017 | Khelmart.org | It's all about Sports. 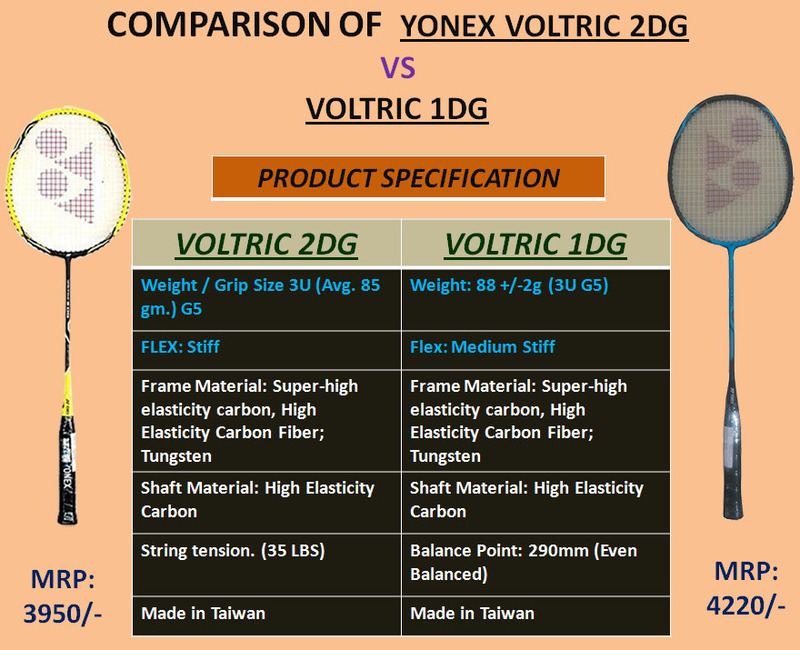 Both the Yonex rackets are equipped with medium flex. Rackets are made of high modulus graphite and tungsten that provides sustainability to strings. The Voltric 1 Lin Dan has quick racquet handling and Yonex’s patented Tri-Voltage System providing powerful stable shots best suited for beginners learning the all-around game and The Voltric 2 Lin Dan Edition is a great racquet for all-around beginner to intermediate players. Weight of Voltric 1LD is around 88 gms so player who love to play with light weight racket will definitely like this voltric series racket.. The rackets are isometric which helps in equalizing the main and cross strings and enlarged sweet spot for more accuracy even on off hits. Both the rackets constitute of Control Support Cap which means a player get a 90% wider flat surface compared to ordinary rackets for easier gripping and better follow through. Both of them have built-in-T joint for durable and high strength frame that is torque free. 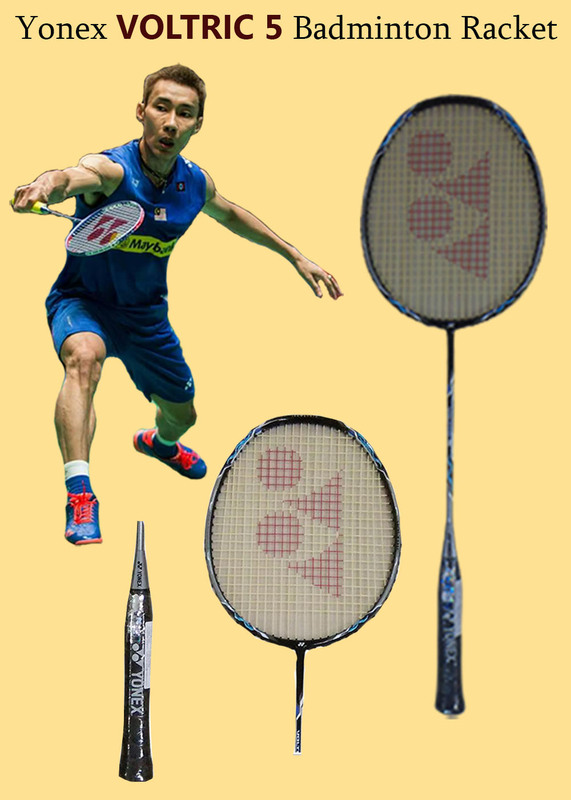 With Head heavy balance, Yonex introduces new racket for intermediate badminton players. This racket is equipped with Nanopreme material which is designed to deliver best racket performance. This racket is equipped with Yonex Tri Voltage Technology which is designed to deliver the maximum power and superfast racket handling. With latest technology, you can dominate in the game and surprise the opponent with extra racket skills. Yonex Voltric 1 LD is equipped with sound filter technology which gives killer sound when shuttle hits the racket sting bed. To make racket to handle more impact strength, Yonex used latest solid core to design the frame. Weight of the racket is around 88 gms. Racket is strung with 19 to 24 lbs string tension. Racket flex is medium which gives good repulsion for fast returns and smashes. 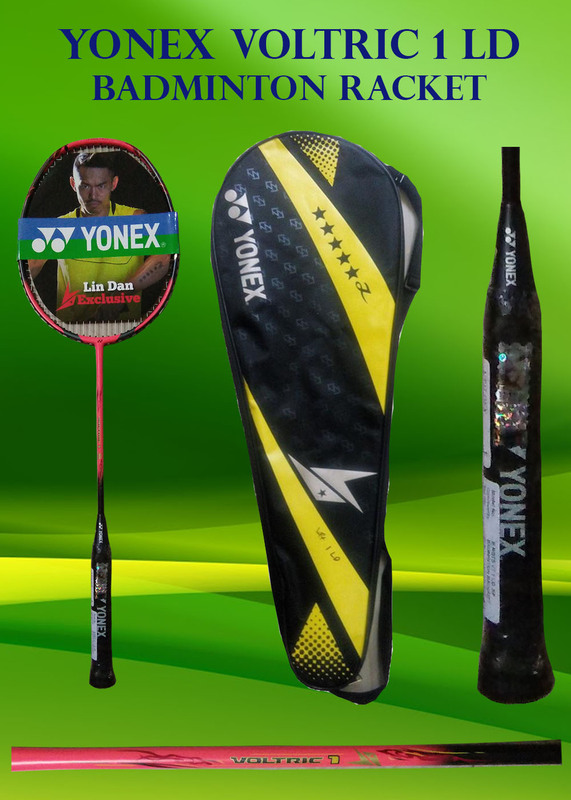 Voltric 1 LD (Lin Dan) is developed with isometric frame shape. This type of shape gives enlarges sweet spot. We all know that with enlarged sweet spot player can hit off center shots with more power. 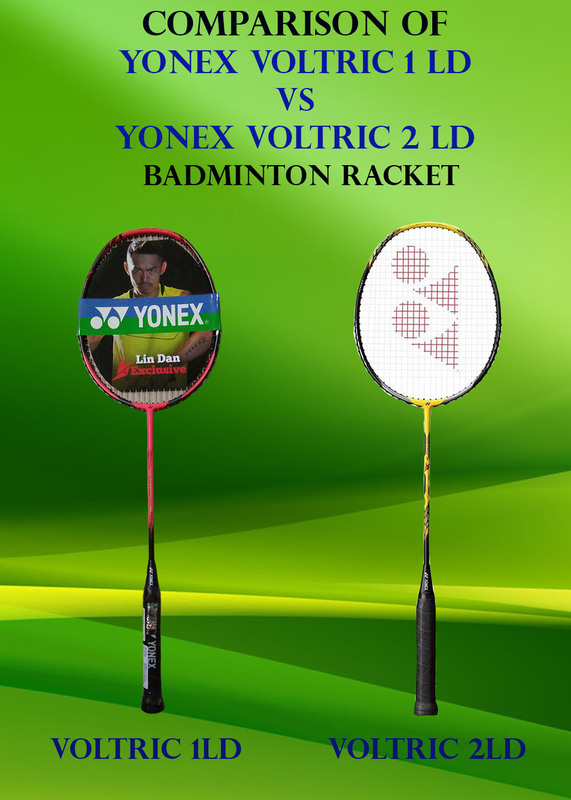 Voltric 2 Lin Dan racket is specially designed for intermediate badminton player who really wants to enjoy the game as Li Dan playing style at economically price range. 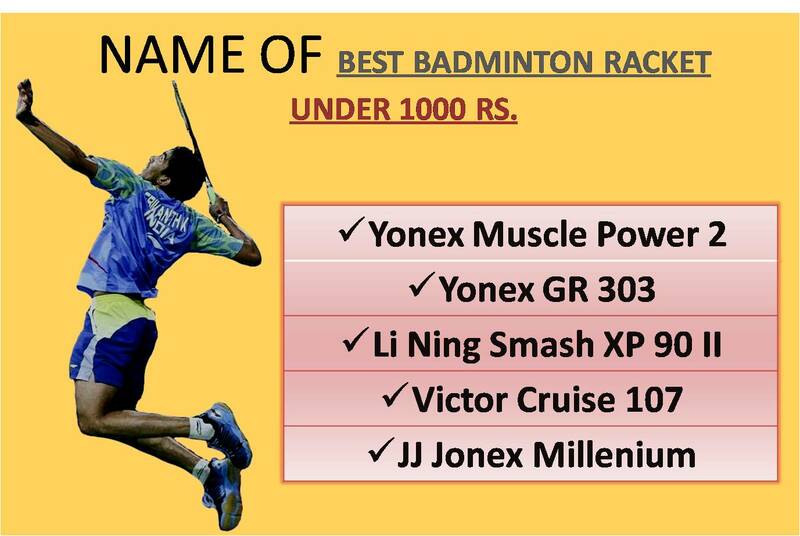 With this Racket Badminton player will get perfect combination of power, Speed and control. It comes in Yellow base color which reflects the playing style of Olympic Champion Lin Dan. 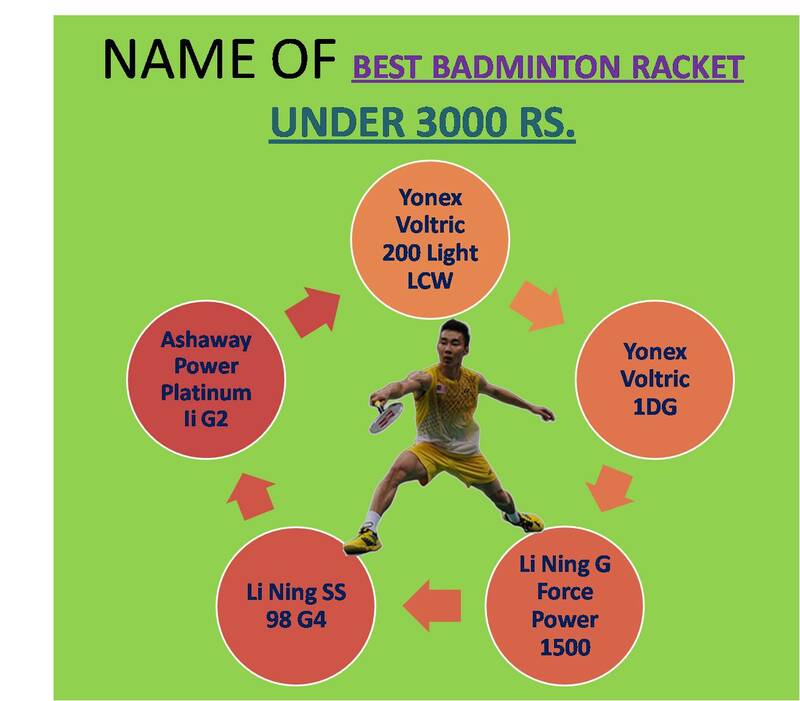 Badminton under Rs 3000 ( Check the racket under 3000 Rs here) will be suitable for intermediate to pro advanced level Badminton players. 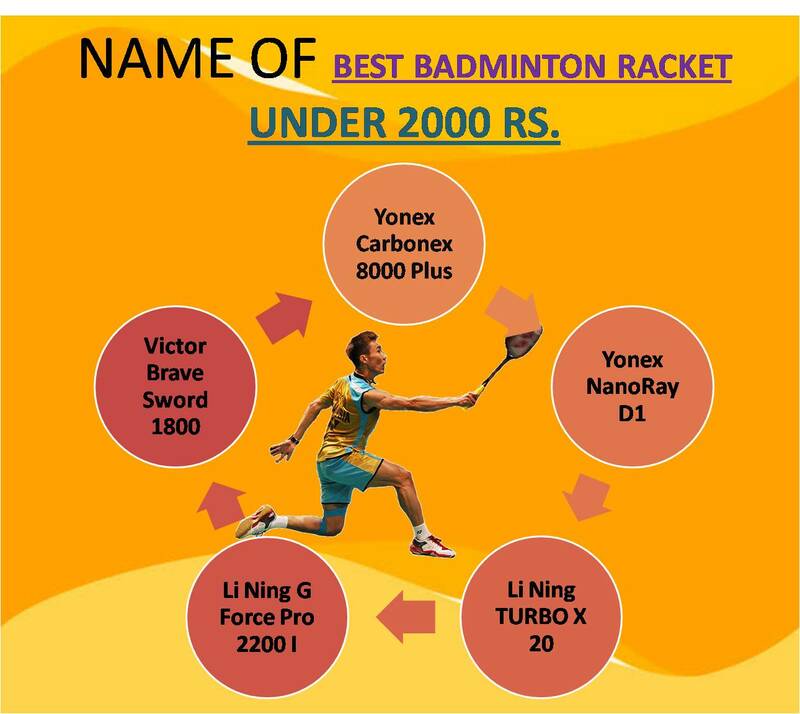 Badminton players should properly check the current racket and based on consultation with coach or friend , he or she needs to take the decision for new racket. Racket with 3000 price tags are equipped with higher grade graphite material. This higher grade material gives lightweight feel , good durability and perfect stiffness which is required for advance badminton game. In this price range racket are clearly divided into categories. 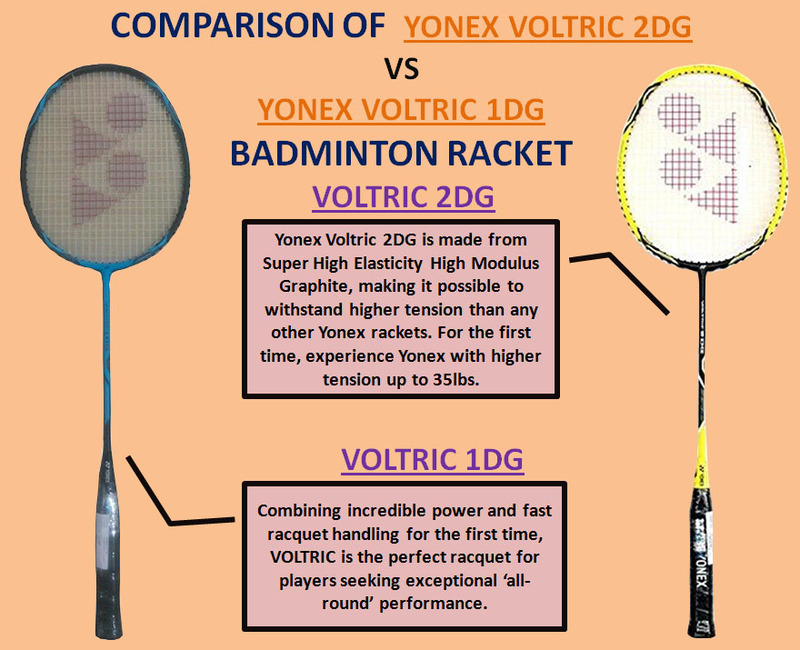 Yonex Voltric 5x is suitable for attacking game , while Yonex nanoray is suitable for all round type of game so player need to check the game style and then decision should be taken. 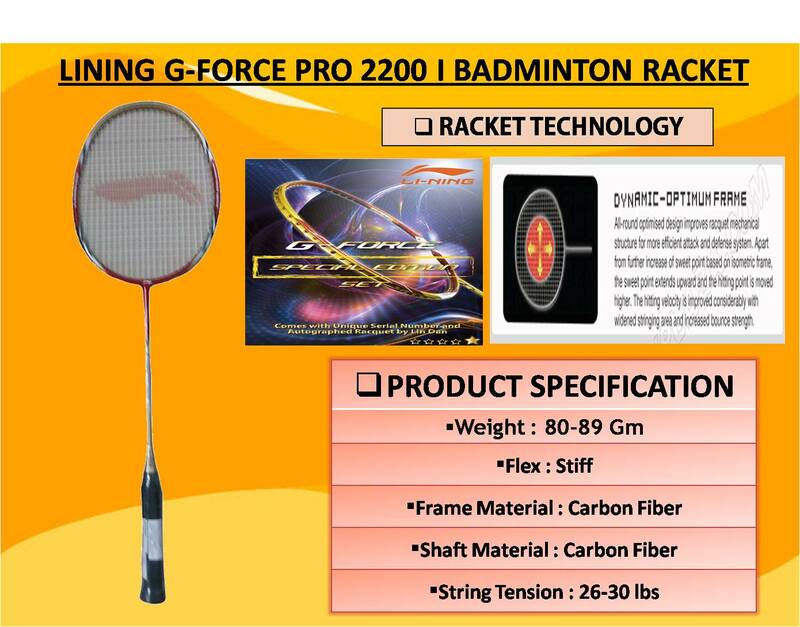 Nowaday, due to advance technology , racket manufacturer produce the racket with 80 gms in 3000 price range. So if player wants ultralight weight racket then they can go for it. Most of the rackets in this price range comes with pre strung configuration. But if player wants to strung the racket, then different stringing options are available .Recommended string tension should be around 23 to 26 lbs based on racket material properties. Li Ning G Force 1500 Badminton Racket is equipped with all new features which make this racket extremely powerful and destructive for opponent. With innovative technology, G Force 1500 will provide you 2.8% shuttle speed while it will give you 7.8 % less drag force which eventually results into powerful hitting with optimum control over shots. G force 1500 comes in Red and White color scheme and it is made of very light weight carbon fiber material. Its weight is W3 (86 to 89 gms) while it is available in S2 grip configuration. 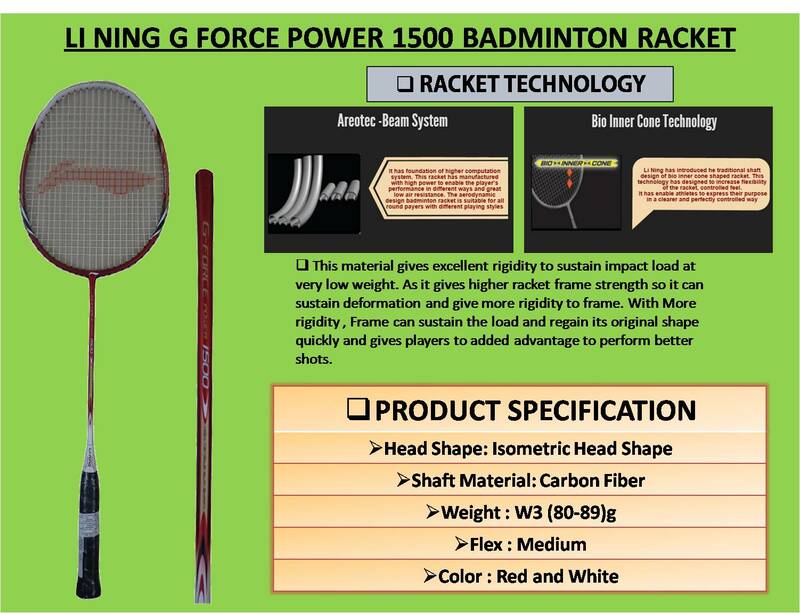 LI Ning G Force 1500 Racket Shaft is made strong material known as Ultra Carbon fiber. This material gives excellent rigidity to sustain impact load at very low weight. As it gives higher racket frame strength so it can sustain deformation and give more rigidity to frame. With More rigidity , Frame can sustain the load and regain its original shape quickly and gives players to added advantage to perform better shots. 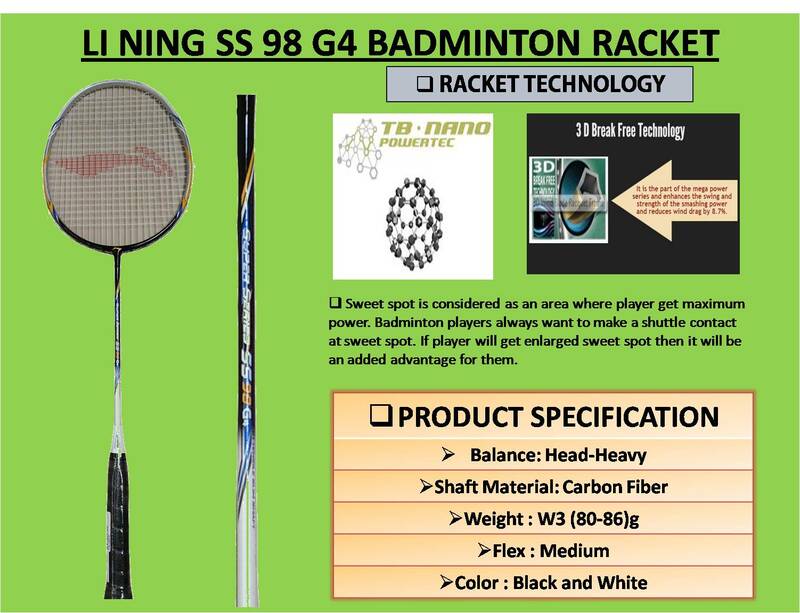 Li Ning SS 98 G4 is 4th generation racket developed by LI Ning, This Badminton Racket is equipped with all new features which make this racket extremely powerful and destructive for opponent.SS 98 G4 comes in Black and white color scheme and it is made of very light weight carbon fiber material. Its weight is W2 (80 to 86 gms) while it is available in S2 grip configuration. 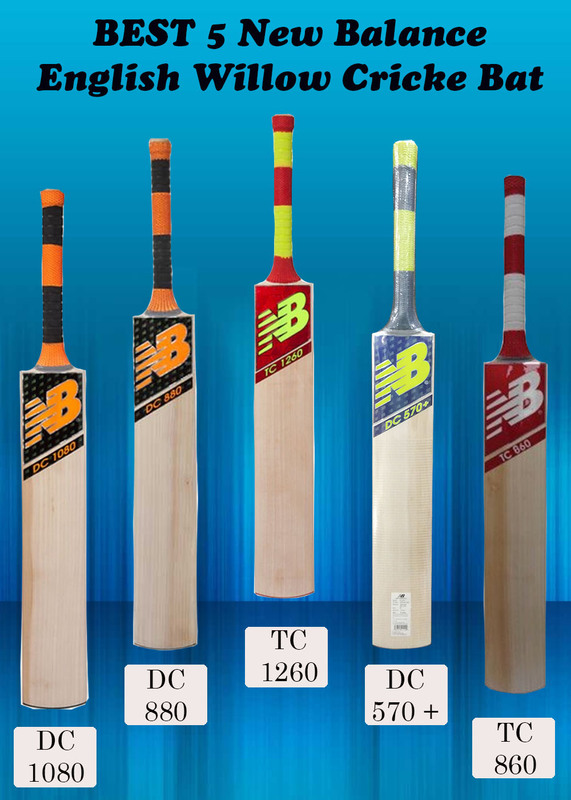 Gray Nicolls Cricket is established in 1855 and from 1855 they produces legendary cricket equipments . In 1860 GN opened a cricket ball factory and starts produces quality cricket balls. In 1891 Gray Nicolls opened a factory in London , UK. Gray nicolls with its mammoth experience in cricket equipment industries produces quality equipment for all type of cricket players. In this Blog we have listed the Best 5 Professional Gray Nicolls Cricket Bats (Check Here to Check the details of Gray Nicolls Cricket Bats). 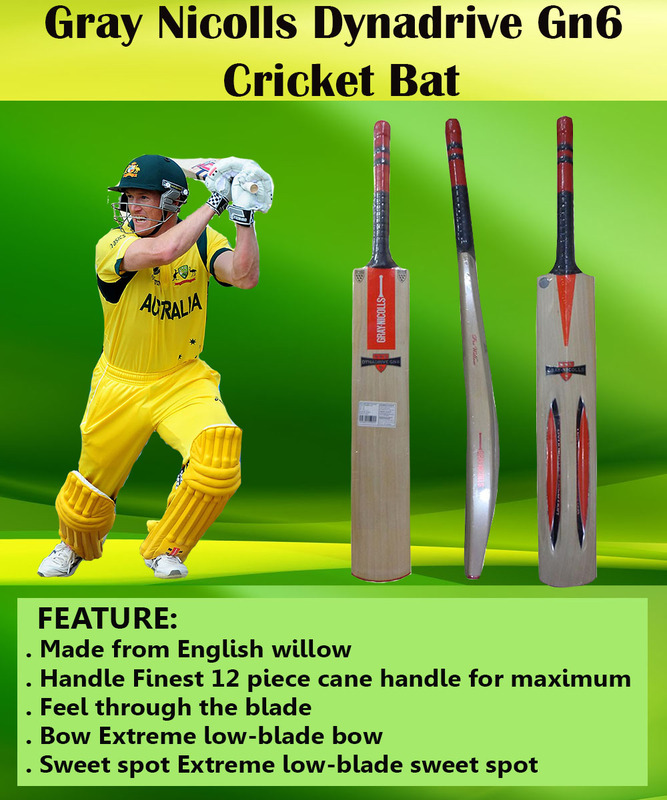 Developed from grade 01 English Willow with top grade quality this Cricket Bat is specially designed for all-round type of cricket players, with traditional Gray Nicolls bat profile GN players GN 9 gives better power and superb control . Its handle made of Cane which reduce the impact shock and which will give you perfect rebound. Mid/high blade gives you all around the ground shot making; players can easily play the shot with any side of ground. It is equipped with large sweet spot player can easily play long hits, big sweet spot also helps in better placement shots. Enlarge sweet spot is designed to give you maximum power to cricket shots. Further , Round bat face gives best in class bat acceleration. Maverick F1 GN8 is equipped F1 speed grove technology. With this technology , player gets better balance so that it is easy to get optimized swing speed. Further , this technology also helps in generating the better rebound. Edge thickness of bat is around 41 mm while bat profile is slightly concave which gives lightweight bat feel. Sweet spot of this bat is located at mid positioned which gives all round players performance. It is a top end cricket bat for pro players , player will get 8 to 10 grains in this bat with better grains profile. Gray Nicolls Prestige GN7 Cricket Bat is specially designed for players who like to make the aggressive shot. Its mid sweet spot and concave bat profile gives lightweight but powerful punches from bat. Sweet spot of bat is located at mid position with enlarged sweetspot configuration which ensures powerpack performance even if bat hits off center. As bat balance is good so it offers better blade speed eventually results into more power on shots. Its handle made of Cane which reduce the impact shock and give you comfort and control. In this bat full hitting zone area provides extreme power for players to hit the shot with full energy in any side of ground. Full hitting area is designed to give you more power to cricket shots. 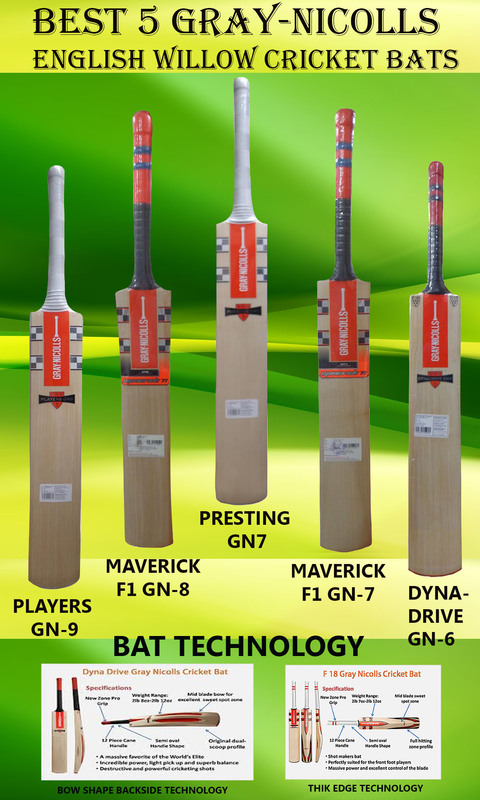 Maverick F1 Gn7 is developed with professional grade English Willow . Its back profile is little concave which gives lightweight feel. In this type of willow player get 7 to 9 grains. Face of this bat is slightly concave which gives be perfect bat balance. 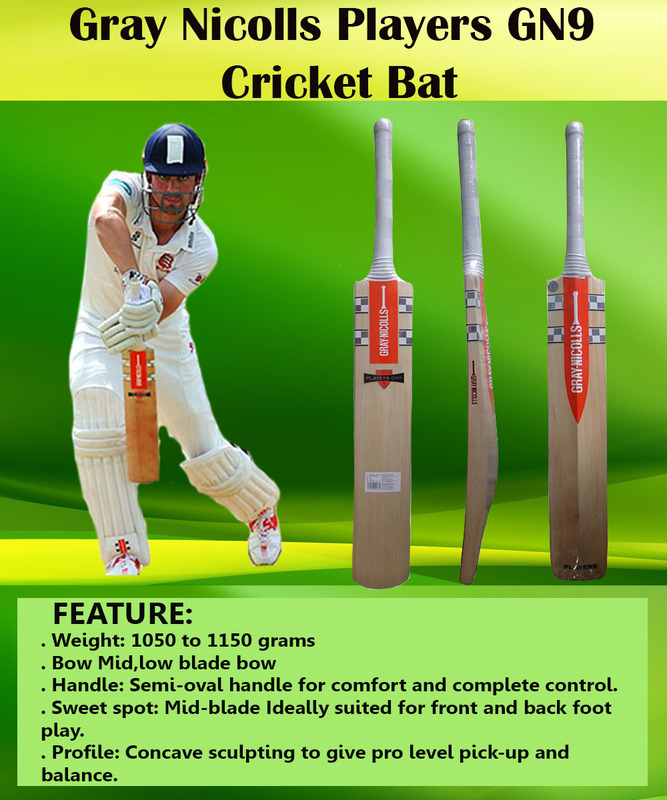 This cricket bat is available in 1160 to 1200 Gms of weight. This bat is developed for those who wants traditional profile and innovative bat features. 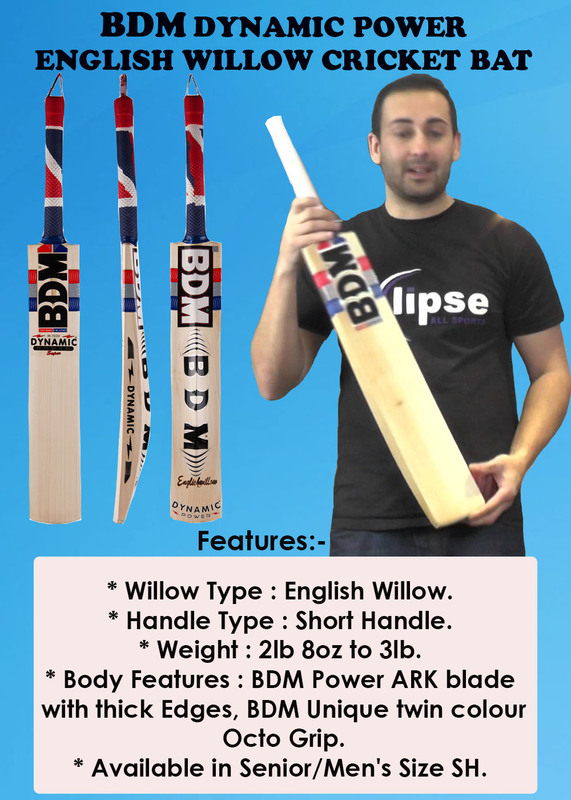 Bat is suitable for all round type of players. To improve the bat feel , Gray Nicolls used improved handle (Full 8 piece Cane Handle). Bat is fitted with fish scale grip which ensures the best possible comfort to players. Gray Nicolls Dynadrive Gn6 English Willow Cricket Bat is made from superior quality material. This cricket bat contains 8 to 12 straight grains. 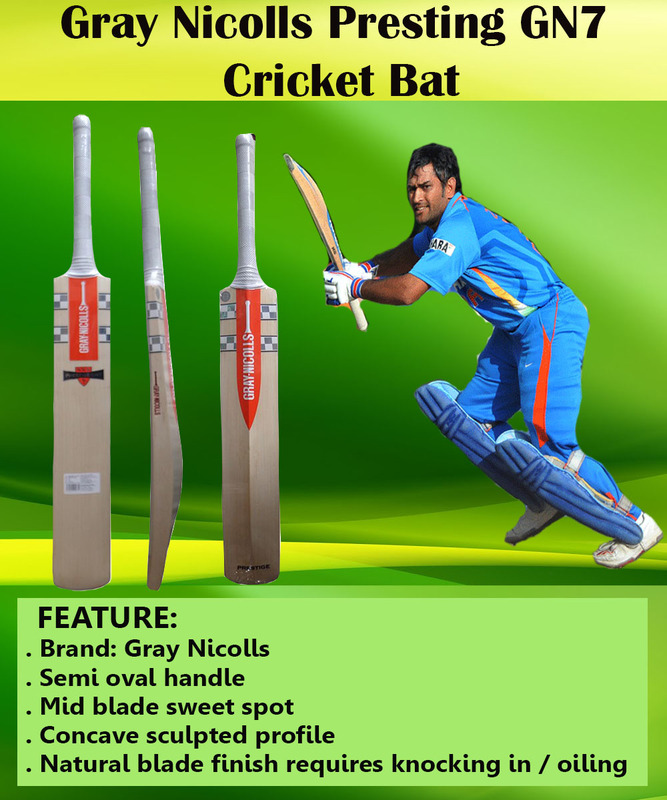 Bat is equipped the massive bat profile which gives better stroke and powerpack performance. Dynadrive provided players with the benefit of a fantastic light pick up, supreme balance and exceptional power from a full spine profile. 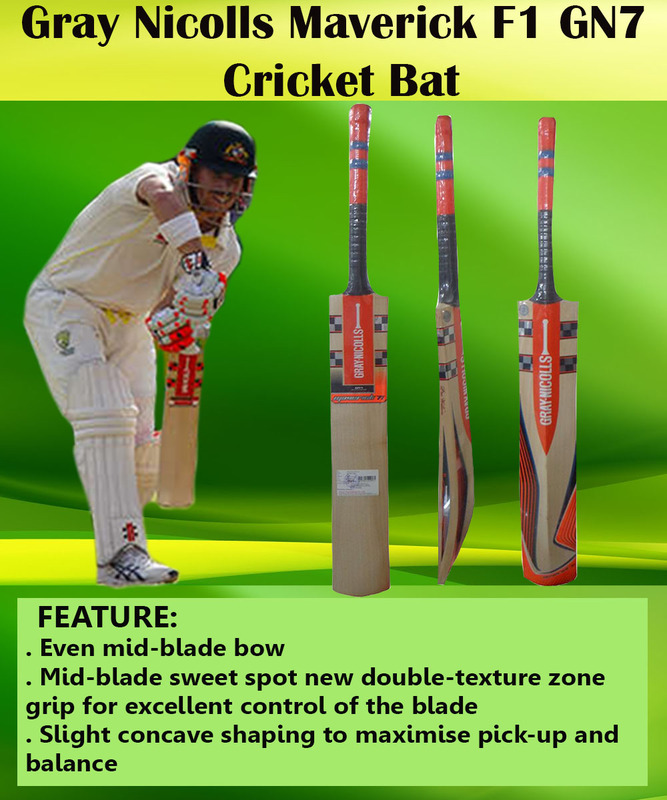 Bat sweet spot is located at mid positioned which gives a bat for all type of ground. A huge edge profile and an impressive bow make the Dynadrive an imposing bat that will be the talk of the opposition as you stride out to bat. 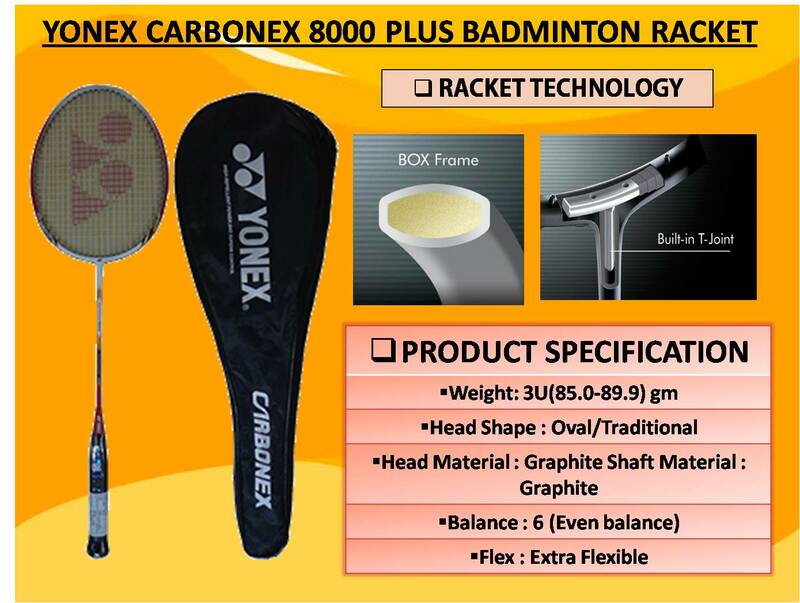 This racket is the most popular racket in complete carbonex and mid range Yonex series. It is fitted with oval shape head which is designed to deliver superb control on shots. Oval shape head is considered to be best shape for intermediate badminton player because it offers great handling and better control. While oval shape offers comparatively smaller sweet spot but at the same time it gives better offensive characteristics to player.Yonex Carbonex 8000 Plus is made of full carbon graphite material. 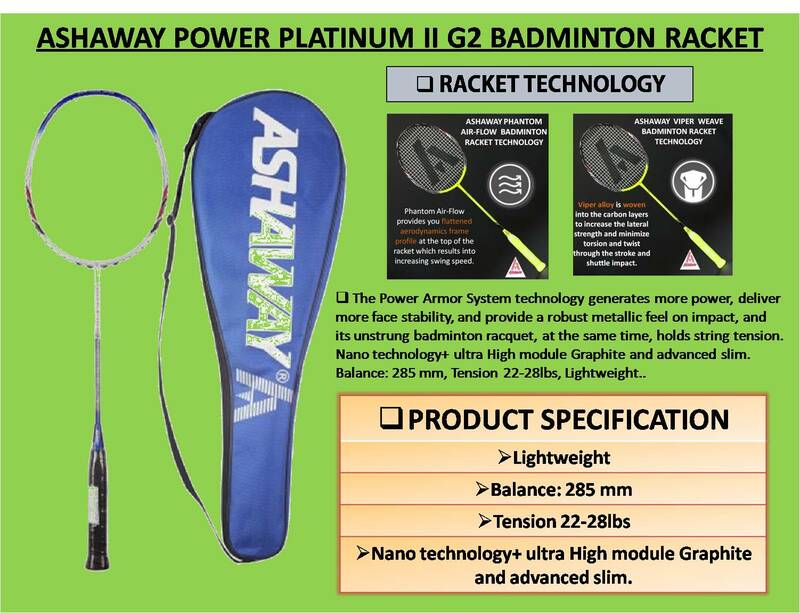 With graphite and carbon nanotube, this racket will provide player extra advantage during intense badminton rallies. It will provide extra power during 3rd line shot clears. Further, with nanotube racket shaft will offer better repulsion which will helps in quick shots delivery and fast returns to opponent. 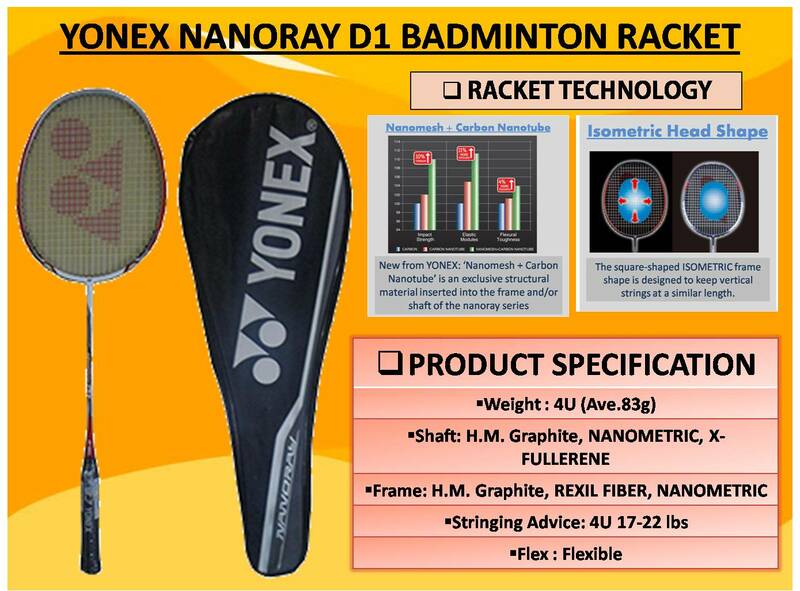 Yonex Nanoray D 1 racket is designed for intermediate badminton players who already tried muscle power series and now wants to upgrade the racket or for those players who just started the badminton game. NR D1 is developed on head light series which gives light weight racket feel with lightening fast repulsion and fast racket swing. 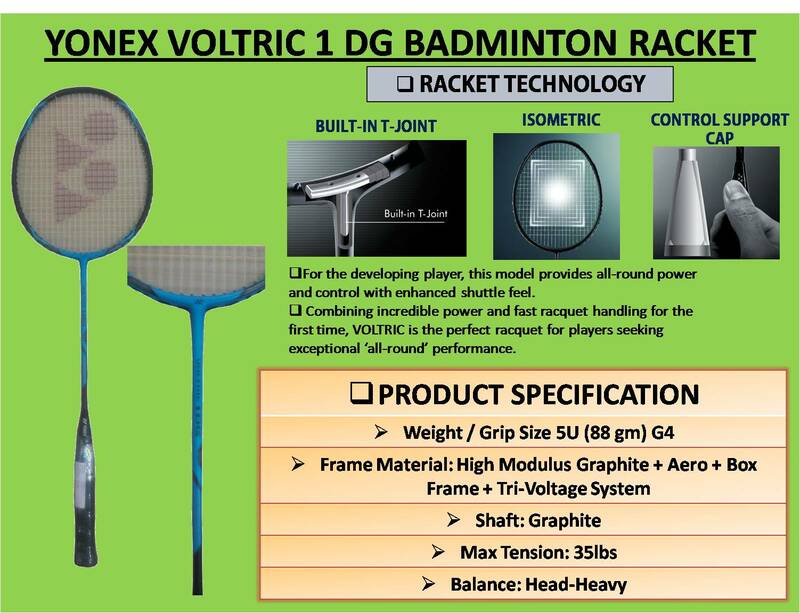 Yonex designed this racket with new concept which helps in placing fast and quick drives shots. With the help of quick return shots , player will can force the opponent to go back into defensive position. Player with NR D1 racket will always have upper hand in drive , cut and cross corner shots to surprise the opponents. Li Ning Turbo X 20 is new and latest model from Li Ning Company launched in 2015. 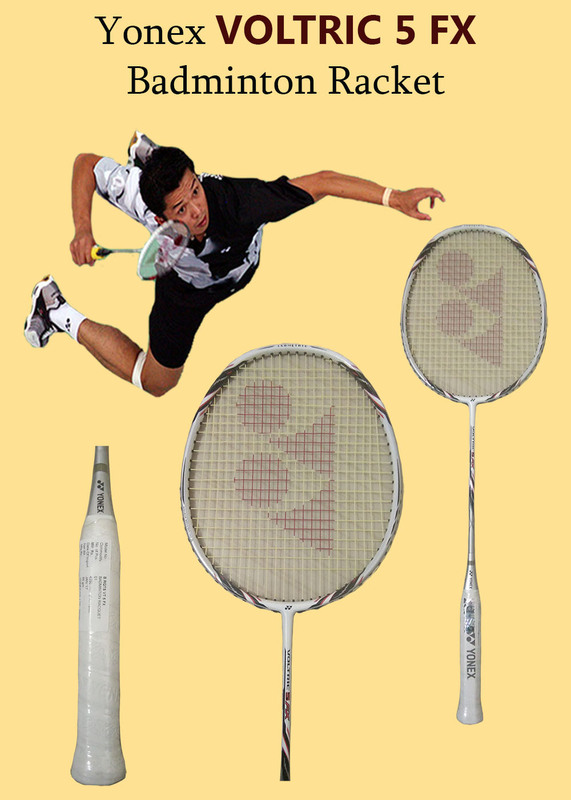 It is a soft Flex Badminton Racket which will give best racket control feel. It is made of full carbon fiber material which is considered as best material for racket manufacturing. Carbon fiber gives more strength, less weight and optimum stiffness based on its lamination values. Its weight is 80-83 Gms. 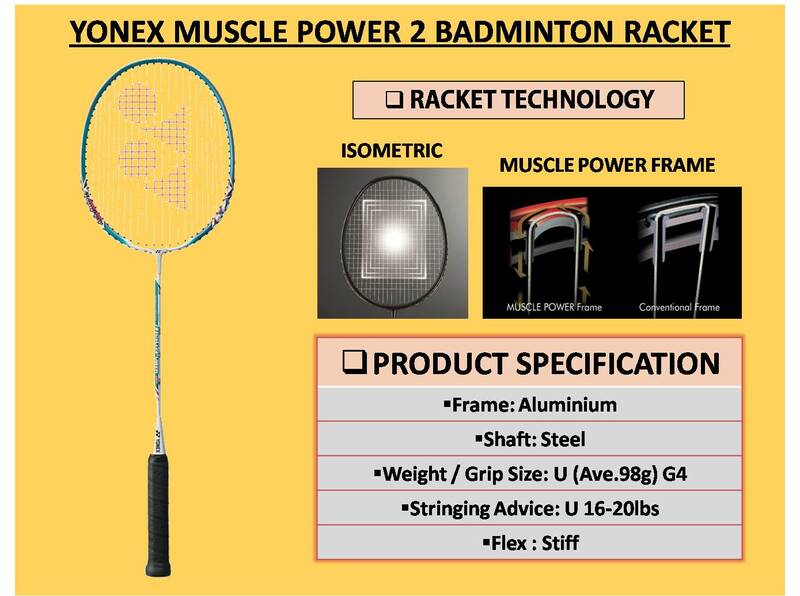 YONEX Muscle Power 2 is the top selling badminton racket from YONEX Muscle Power Series. Economical but very effective badminton rackets for average badminton players. MP2 is developed with Muscle power Technology which consists of Isometric fame which gives larger sweet spot & gives extra possibility to hitting powerful smashes.With Steel shaft and aluminium frame, MP-2 gives super racket handling. Its shaft is made of steel which provides extra stiff shaft and quick racket repulsion.Weight of YONEX Muscle Power 2 varies from 95 to 99.9 gms while its available with G4 grip size. 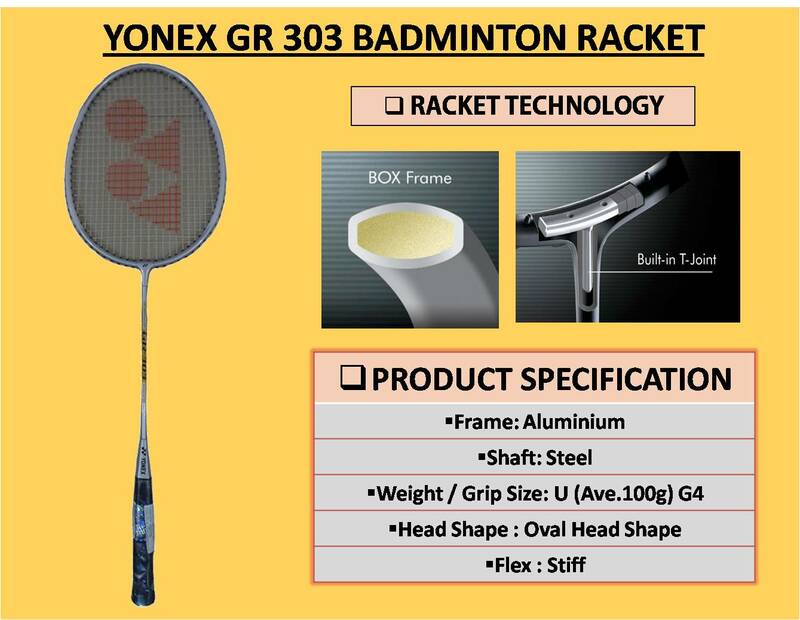 Yonex Gr 303 is made of durable material steel and Aluminum. Frame head is made of aluminum which gives better durability and better playing characteristics . The single-piece moulding equally distributes weight to add stability to your shots, thereby making your game more consistent. Racket head configuration is head heavy which gives better power on shots with maximum control. 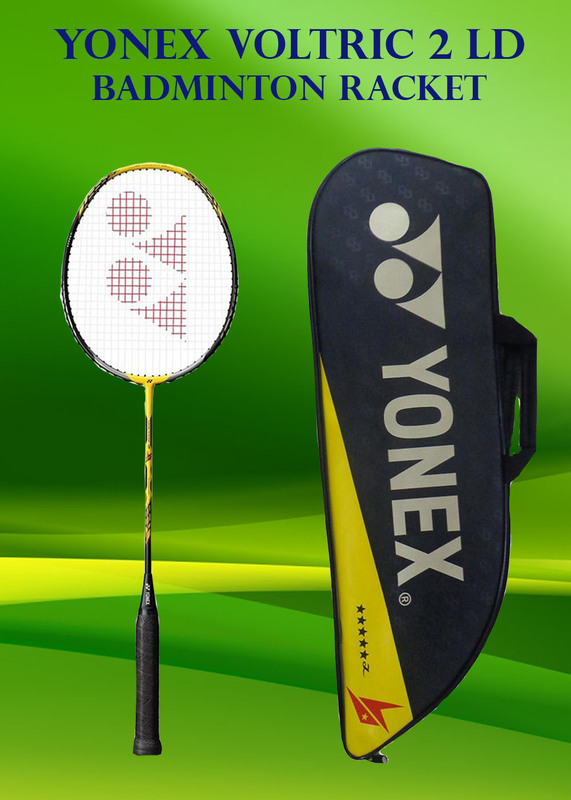 Yonex Gr 303 is developed for beginner level badminton players. 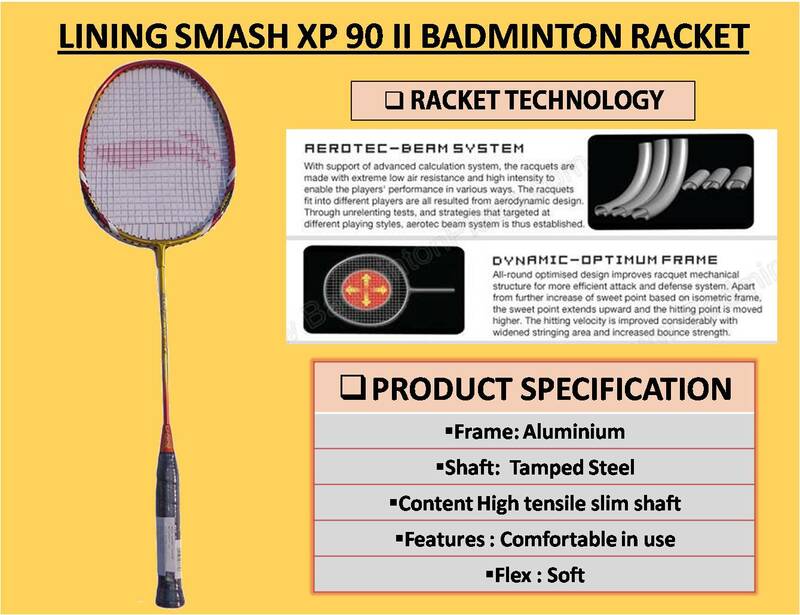 Li Ning XP 90 is developed for beginners. It is made of carbon fiber material which gives lightweight racket feel. In this price range it is rare to see the racket with carbon fibers. Racket weight is around 90 gms which gives lightweight feel to players. With medium Flex and even balance , XP 90 II gives perfect combination of power and control which is required for beginner level of badminton player. 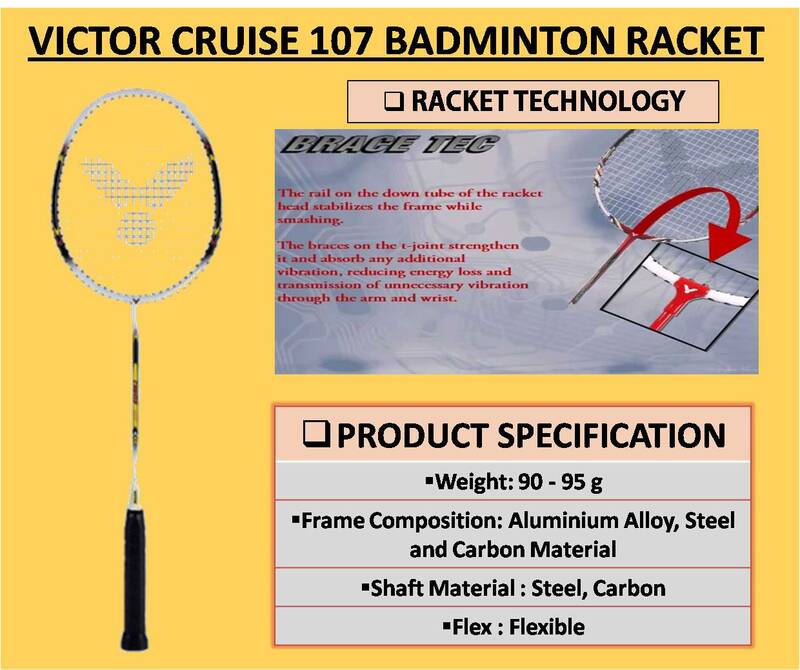 Frame of Victor Cruise 107 is made of Aluminum , Steel and carbon material which gives optimized stiffness and racket weight. It s shaft is made of alloy steel and carbon fiber which gives better repulsion and control. Racket weight is around 90 gms which gives better feel to badminton player. Racket head shape is isometric which gives enlarged sweet spot area for better power and effective playing area. This racket is specially designed for beginner to intermediate player with allround type of playing style. 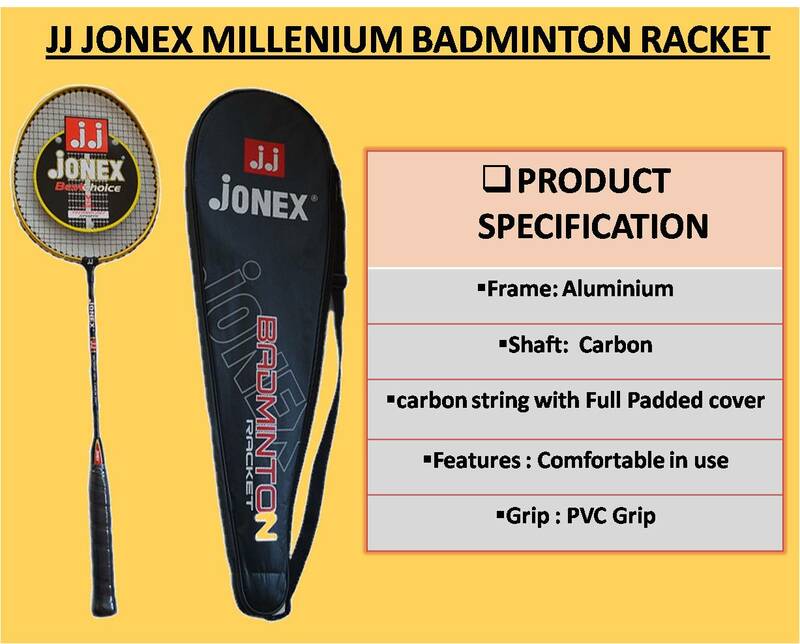 JJ Jonex Millenium racket is developed for beginner level badminton players.Its frame is made of aluminum material which gives better repulsion while its shaft is made of alloy steel. Alloy steel shaft is designed to give better stiffness which results into better power on shots.JJ Jonex Millenium racket weight is around 90 gms. Its even balance and better material property helps player to improve game is all directions. 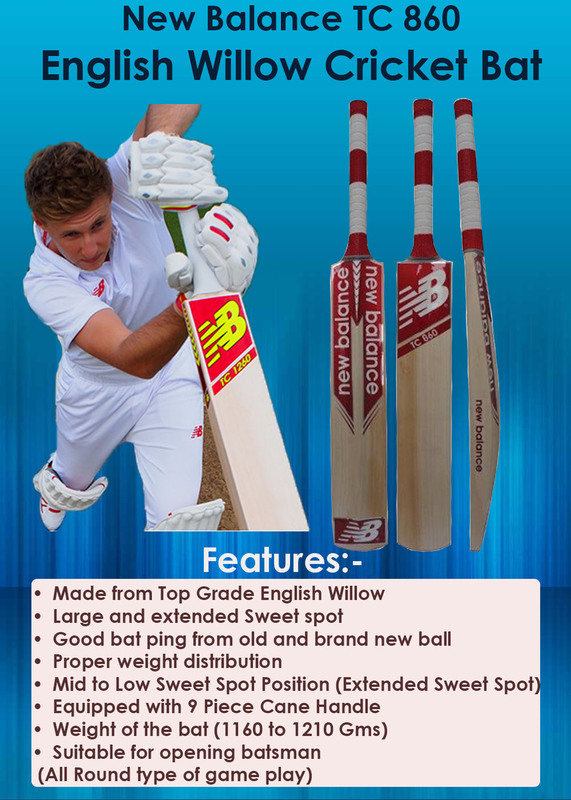 It is a latest English willow cricket bat from New Balance and endorsed by Joe Root. Bat is equipped with signature style on Joe Root. It is equipped with large sweet spot and big edge which gives better and effective playing area as required by modern cricket game requirements. Player who wants to hit powerful shots will definitely like this bat. It massive edge is designed to generate maximum punch which gives sufficient power to ball to cross the boundaries. 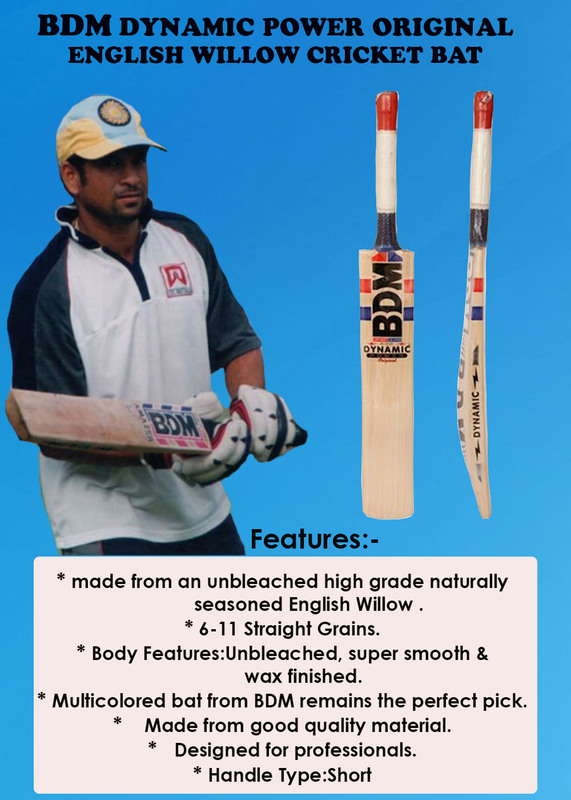 Made from grade 1+ premium unbleached English willow (No bleaching process is done to hide the hard wood of bat) with DC 1080 will provide to best performance. 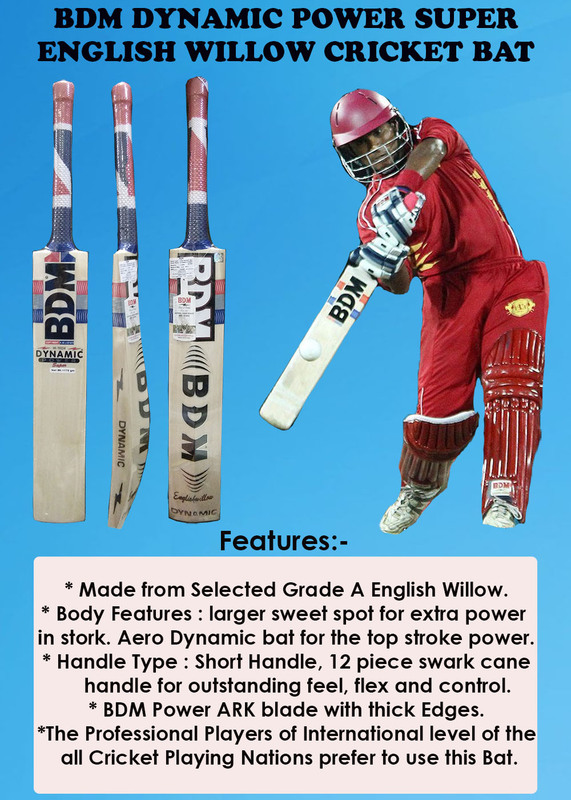 It balance, willow performance and effective weight distribution will help in performing well on ground. This bat has been rated at a 5 star level all around the world. This bat is choice of Australian captain Steve Smith. Bat shape, profile and its balance is specially designed by considering the signature style of Steve Smith. Player with variation in cricketing shots will definitely like this bat. 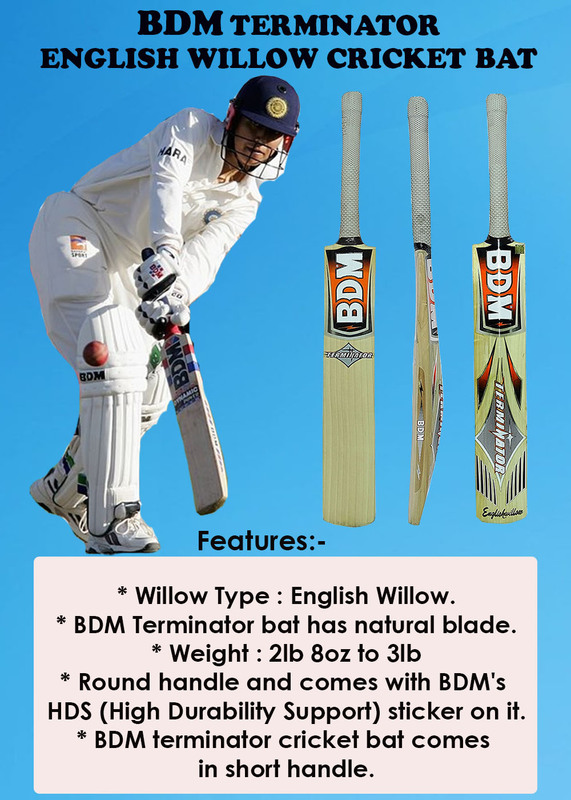 Made from grade 2 English willow, DC 880 will give you very fine, soft and well moisture bat surface for stroke making. It is equipped with large sweet spot with massive edge for elegant stroke making ability. 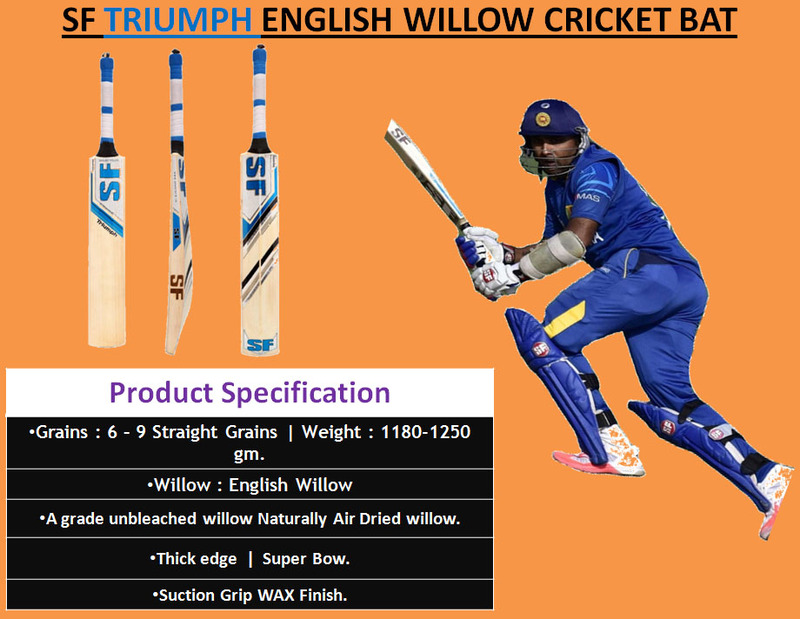 Further, Willow is processed naturally which give clear and straight grains profile. With Mid to High Blade sweet position, player will get effective playing area. Bat balance and its weight distribution will suits the all round type of game play. It is equipped with large sweet spot and big edge which gives better and effective playing area as required by modern cricket game requirements. Made from top grade premium unbleached English willow (No bleaching process is done to hide the hard wood of bat) with TC 1260 will provide to best performance. 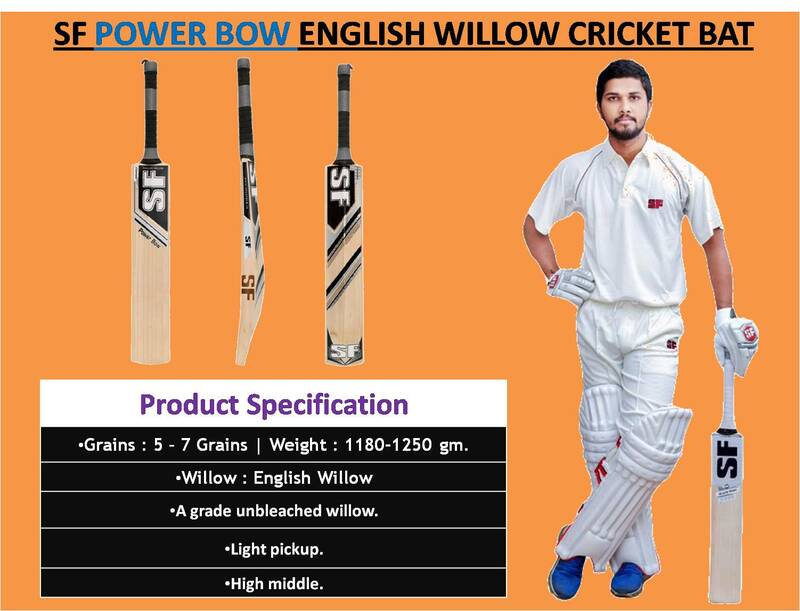 It balance, willow performance and effective weight distribution will help in performing well on ground. Manufactured with good quality grade 3 English willow cleft DC 570 Plus will provide you perfect surface for making powerful hits. With massive sweet spot and proper weight distribution player will get super profile for stoke making. 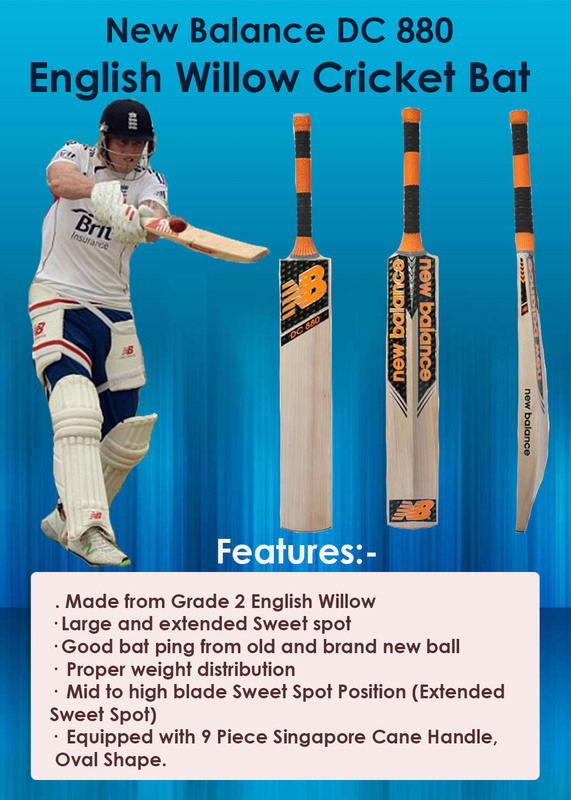 Further, Willow is processed naturally which give clear and straight grains profile. With Mid to Low sweet position, player will get effective playing area. Bat balance and its weight distribution will suits the all round type of game play. 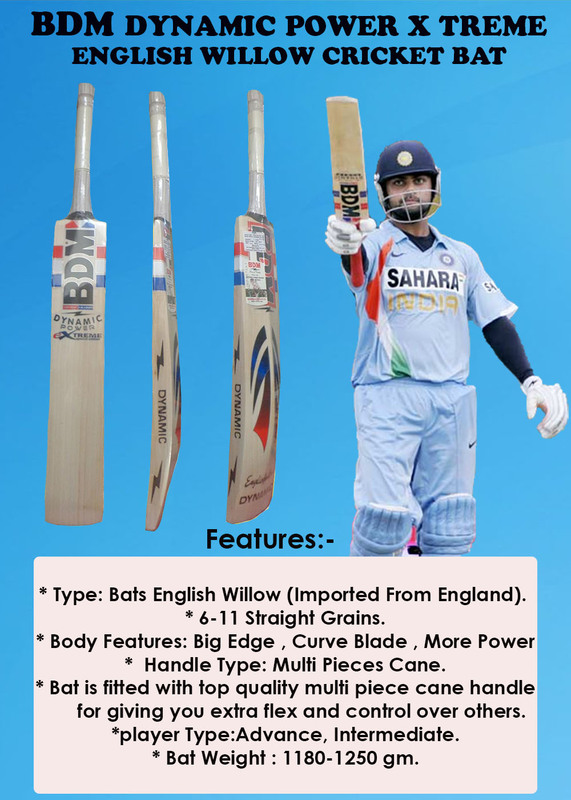 Bat is fitted with Singapore Cane handle with 6 piece configuration. 6 Piece Singapore Cane Handle for maximum shock absorption. This bat is choice of Australian captain Steve Smith. Bat shape, profile and its balance is specially designed by considering the signature style of Steve Smith. Player with variation in cricketing shots will definitely like this bat. 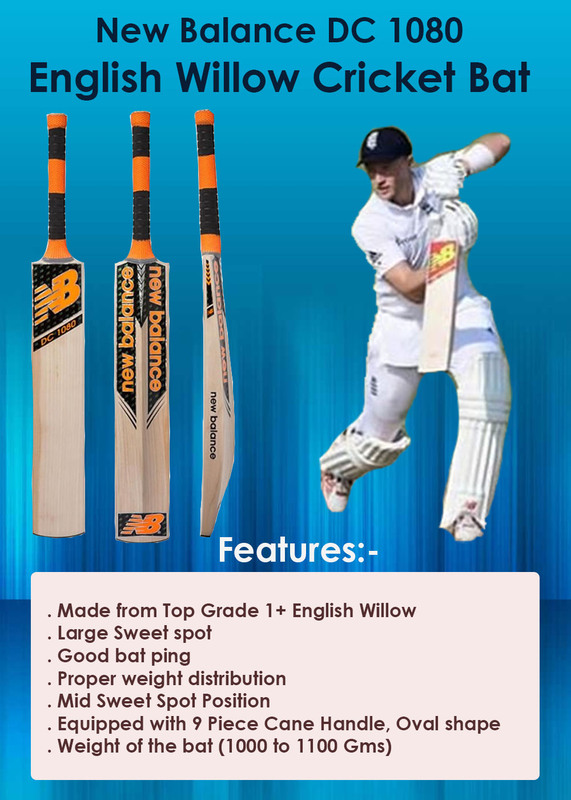 Made from top grade English willow, TC 860 will give you very fine, soft and well moisture bat surface for stroke making. It is equipped with large sweet spot with massive edge for elegant stroke making ability. 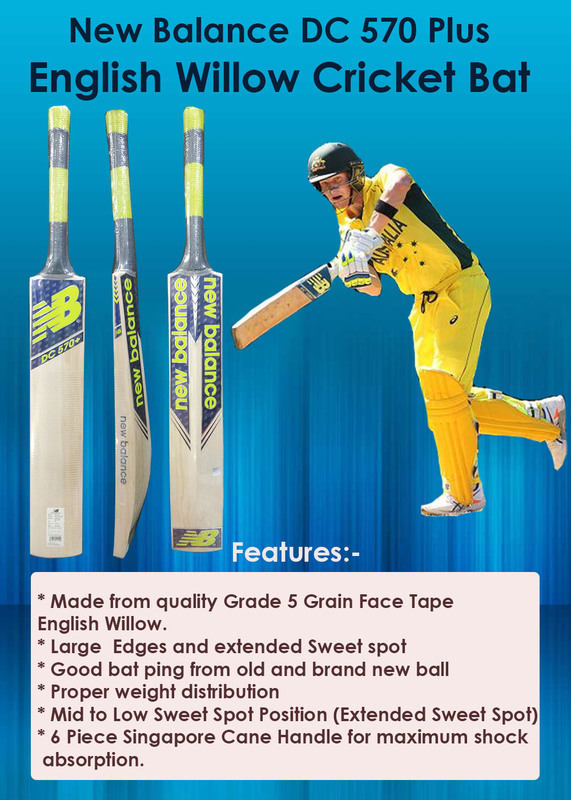 Further, Willow is processed naturally which give clear and straight grains profile. With Mid to Low sweet position, player will get effective playing area. Bat balance and its weight distribution will suits the all round type of game play. SF (Stanford) company is based in meerut and produces best in class cricketing equipment for pro players. In this blog we shall list the Best 5 Professional Level SF Cricket Bats. 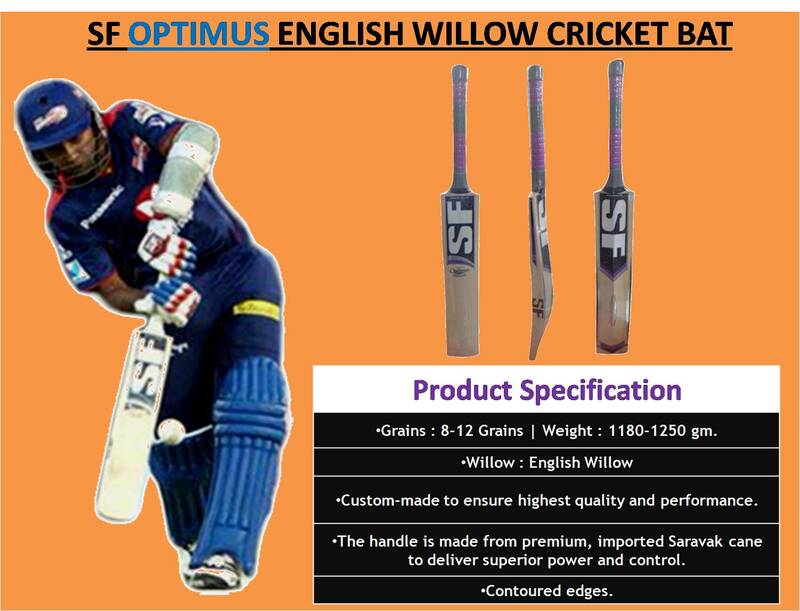 SF optimus is top line cricket bat from SF. 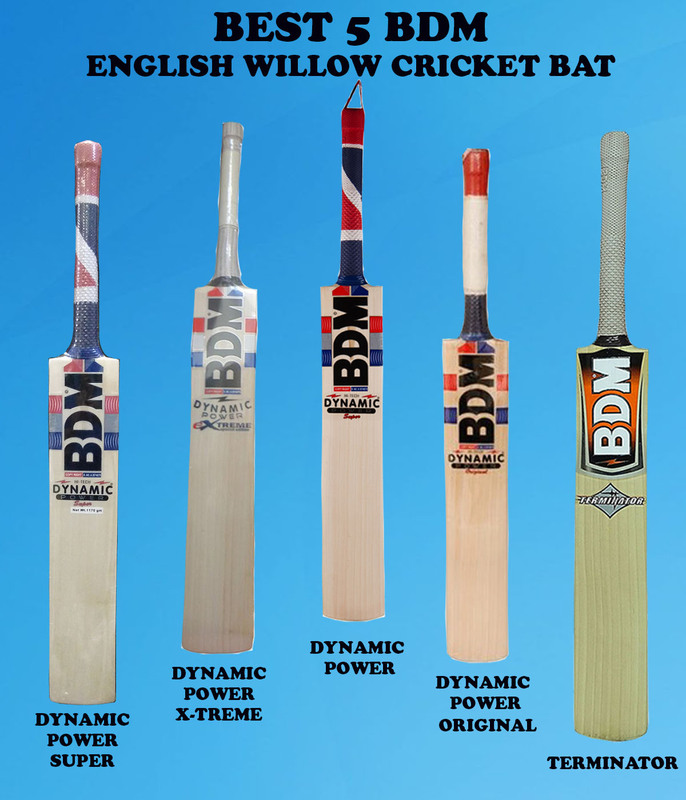 It is made from Top grade english willow (Hand selected players grade English Willow). 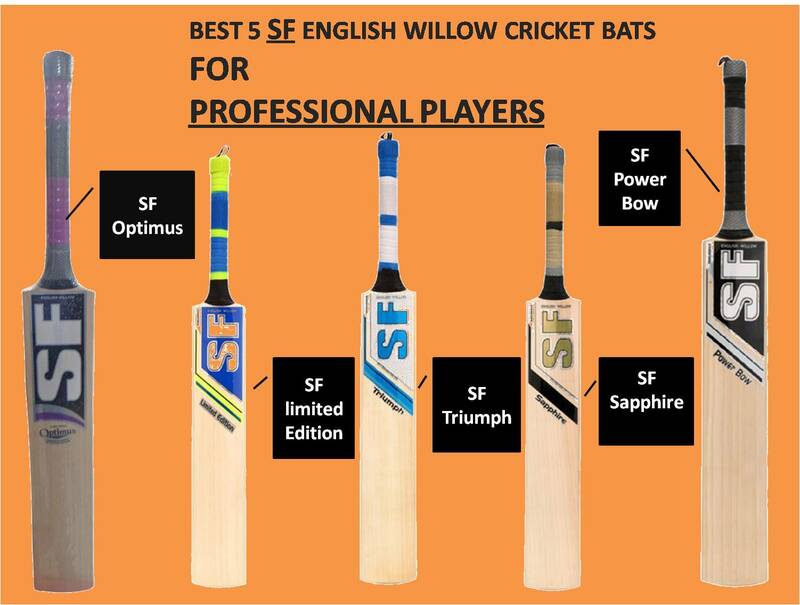 With players grade willow cleft , SF manufactured best in class cricket bats for professional level play. Lightweight design and Contoured edges. Player will get 7 to 9 straight grains in bat with embossed like grains profile. It is a limited series cricket bat from SF. Made from top grade willow with standard SF profile. This is having fullback profile which gives maximum power on strokes. Bat sweet spot in nicely placed at mid to low positioned which generates massive power on shots. The Very Top SF Stanford Cricket Bat, made from Grade 1+ English Willow, with 10+ grains. Very Thick Edges (minimum 38mm). Very High Spine (minimum 62mm). Custom Made to ensure highest quality and performance. Full Length Bat Cover included (for no extra cost). Premium Sarawak Cane Handle and Semi-Oval Handle. Made from grade one English willow . SF triumph is suitable for all round type of player.Mid to low sweet spot offer best possible bat balance to players.With flat face and massive edge profile , SF Triumph offers maximum punch from bat. Back profile of bat is full which gives opportunity to hit powerful shots even if ball not hit to center. A grade unbleached willow Naturally Air Dried willow. 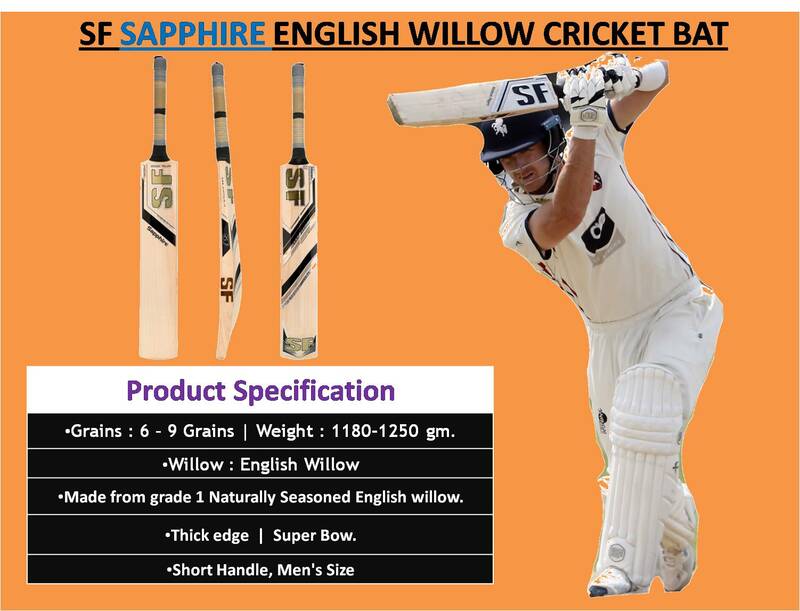 SF Sapphire Cricket bat is made of grade 1 quality English willow- naturally Seasoned. 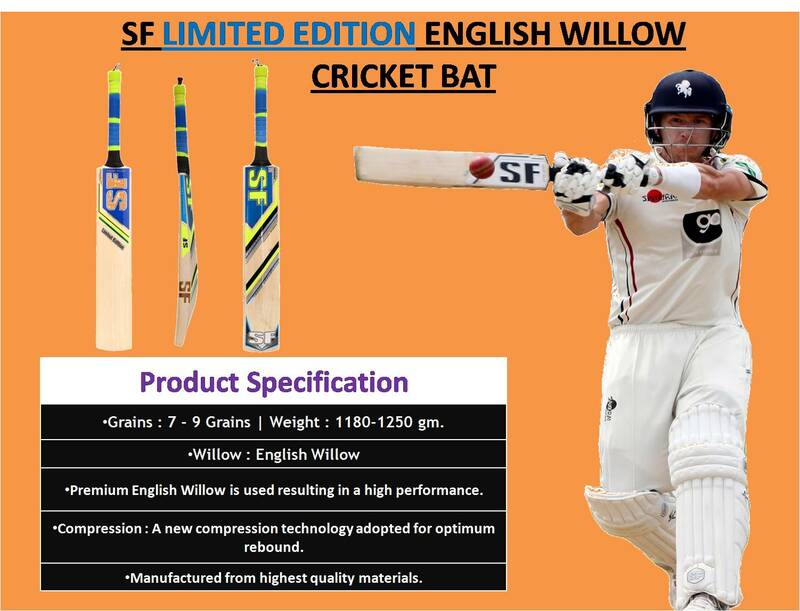 Willow cleft is hand selected while it is processed with natural drying technique.It is lightweight cricket bat with concave bat profile which results into powerful cricketing shots. 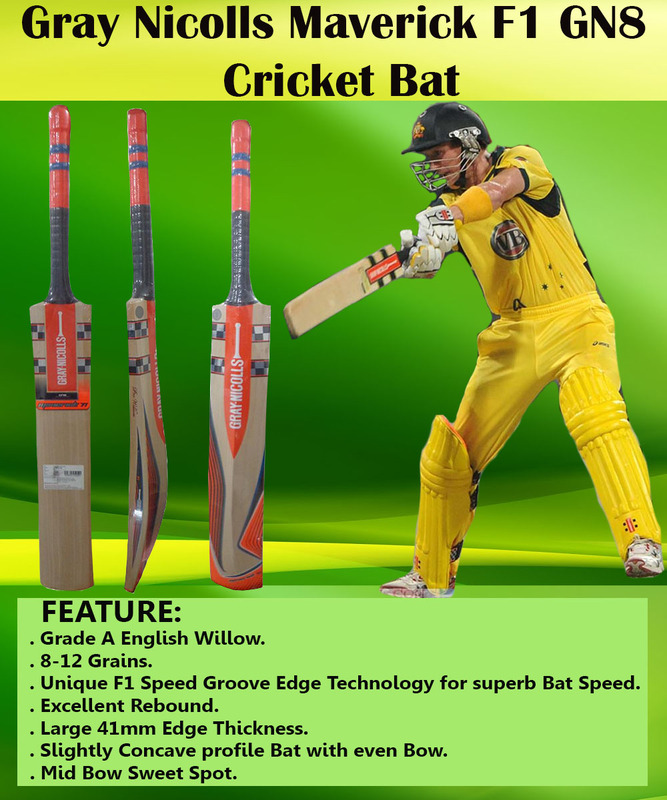 Finest quality cricket bat will provide you more than five straight grains. SF Trendy Sapphire bat is designed for advanced intermediate cricket players. It is equipped with 12 pieces cane handle. 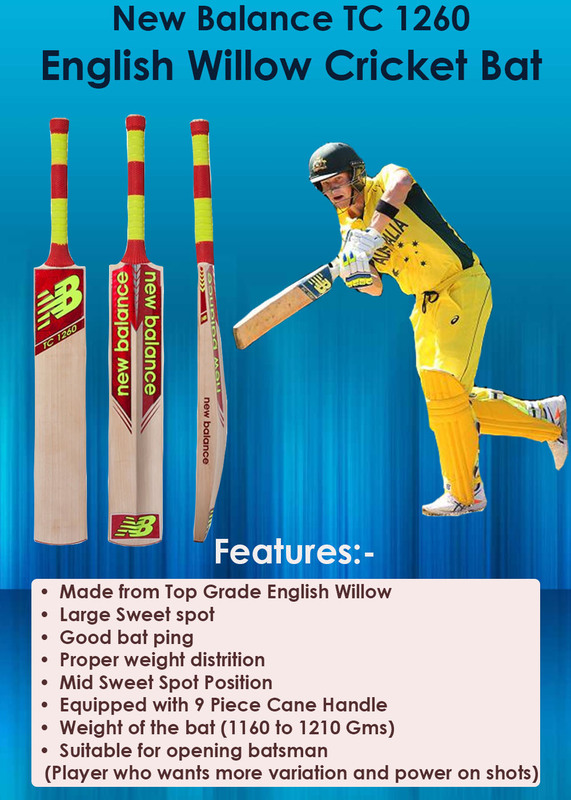 Top grade willow cricket bat fro Professional level game. This bat is specially designed for those who wants innovative bat shape.Handcrafted bat with standard SF Bat manufacturing technique. Power Bow bat gives better balance , better edge profile which results into maximum power from bat. Flex of Voltric 5FX is High Flex which means it will provide extra power on shots and players will get accurate shots delivery. 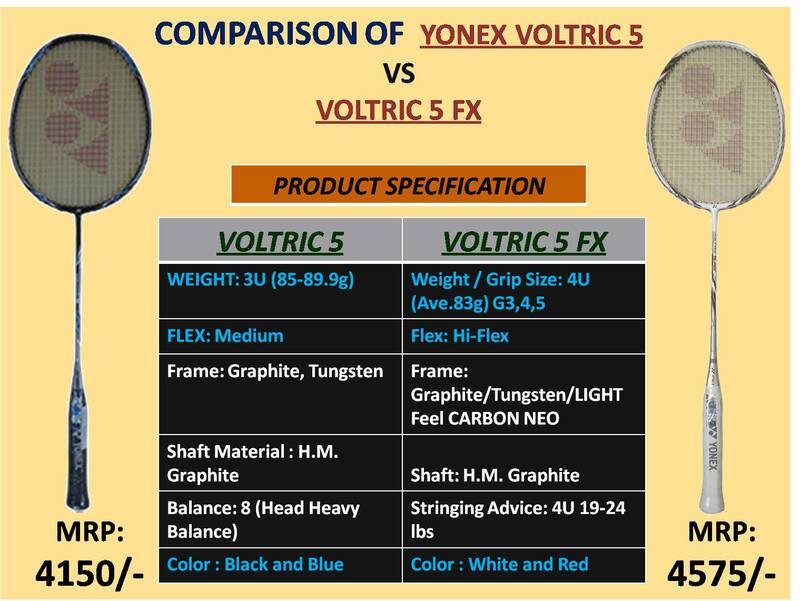 Weight of Voltric 5FX is around 83 gms so player who love to play with light weight racket will definitely like this voltric series racket..
Yonex Voltric 5FX is made of Graphite/Tungsten/LIGHT Feel CARBON NEO material at racket frame. Both the Rackets Shaft Material is H.M.Graphite. 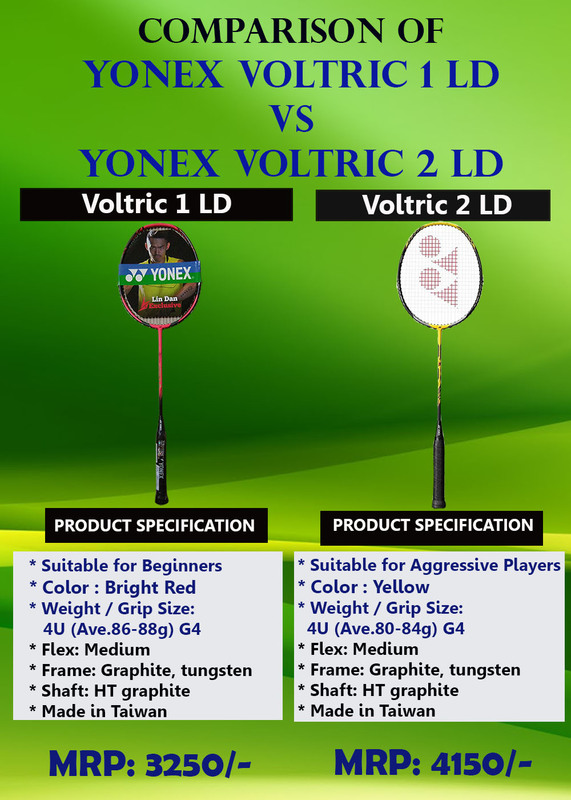 Yonex Voltric 5FX is latest head heavy series by YONEX which gives incredible power smashes while on other hand player will get flexibility to enjoy the racket swing . 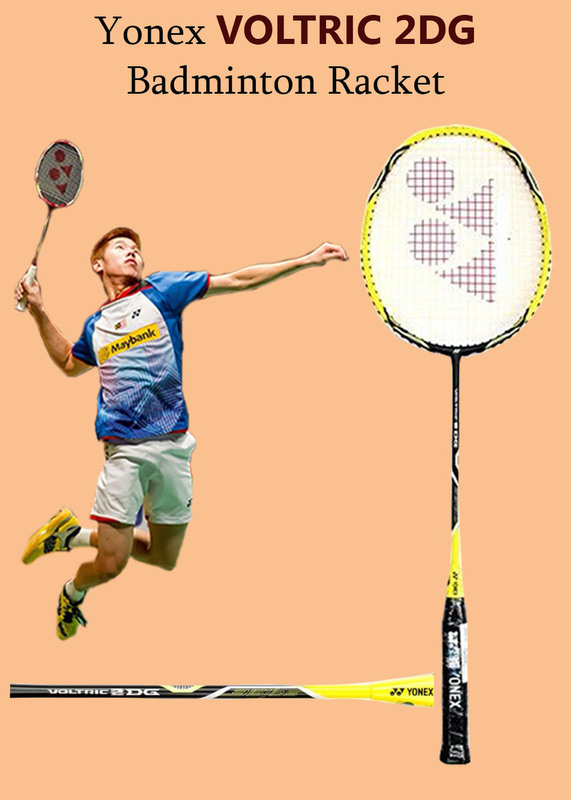 Head heavy Racket configuration: Due to head heavy configuration, players get maximum power on shots which helps player to dominate in the game by powerful third line clear and explosive smashes from 3rd Line. 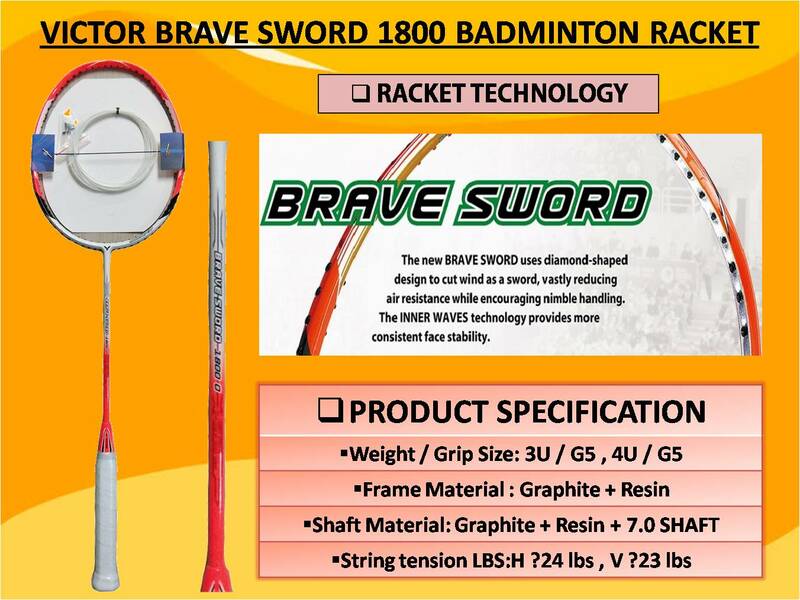 Racket Frame cross section is designed with latest Aerodynamic concepts which offers less air resistance and results into fast racket swing speed. With fast racket swing speed player can effectively place the drive shots, half smashes and cross corner shots. It also helps in better drop shots and quick return in critical badminton rallies. 1.This racket manufactured with Graphite, Tungsten material . 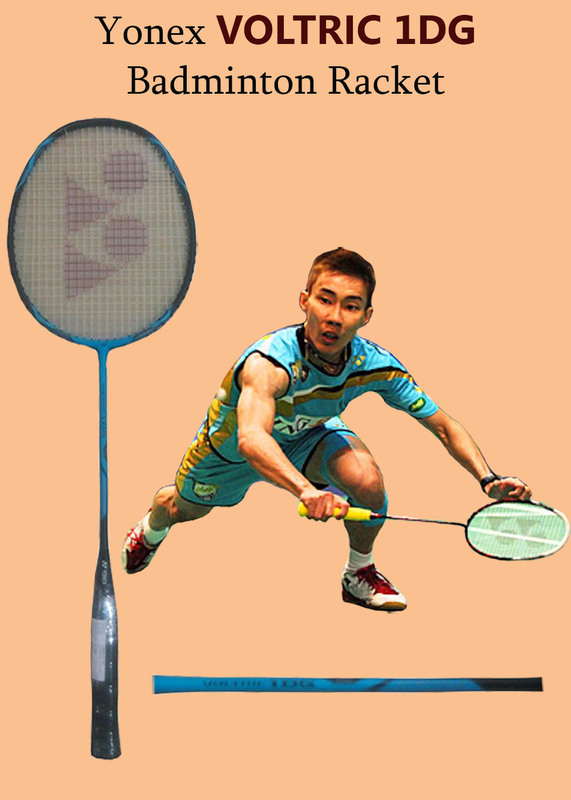 2.This Racket is belongs to head heavy series which is designed to delivery fast powerful badminton smashes. 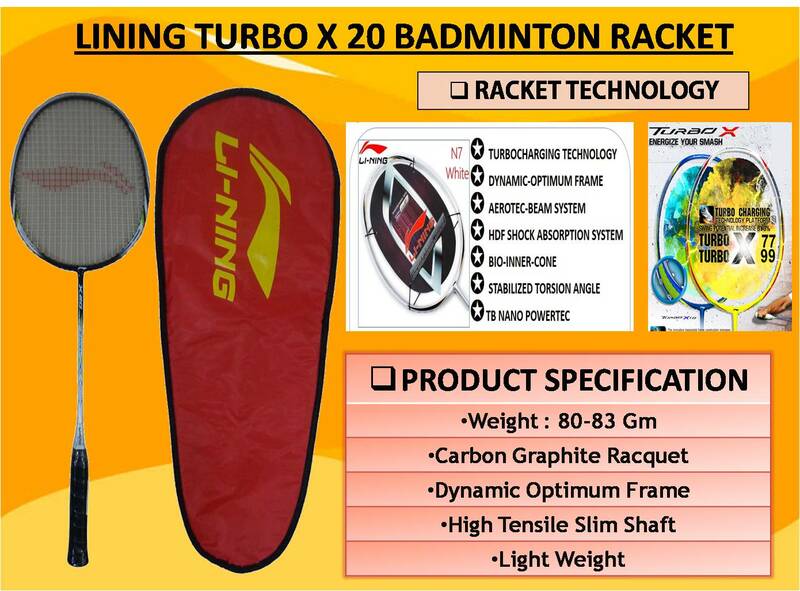 4.Racket is equipped with Aero-BOX frame which is designed with aerodynamic concept. This gives better swing speed and racket maneuverability. 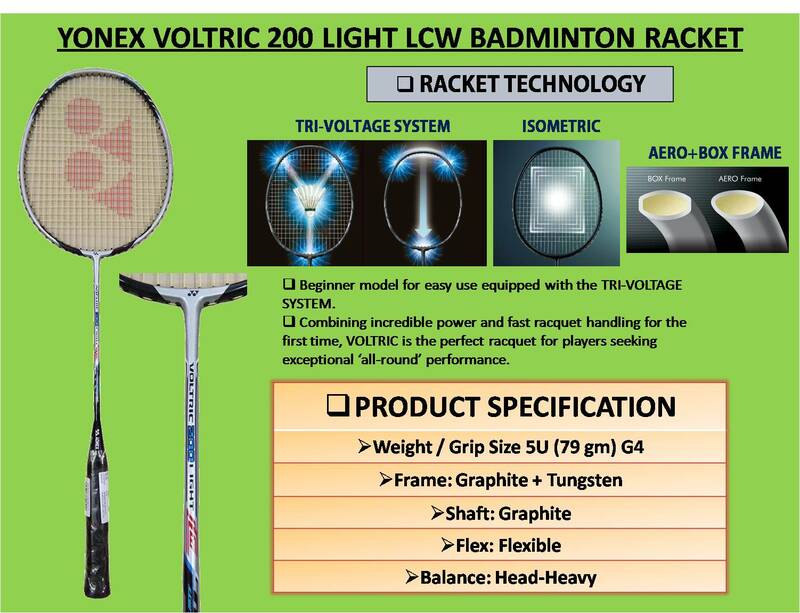 5.YONEX Voltric 5 is equipped with state of art YONEX Tri Voltage Technology, which enables player to get maximum power without losing the racket speed. 6.Yonex used tungsten Infused grommets at racket frame. This type of grommets works as self lubricant in nature and offers a smooth travel of string through the grommets. This helps in better control on shuttle. 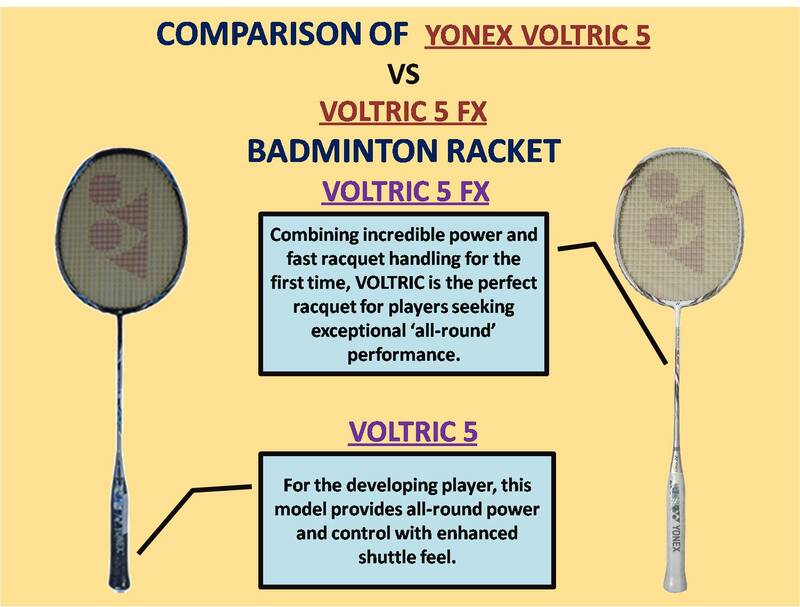 Overall Yonex Voltric 5 FX is best choice for intermediate badminton player who wants to improve the game by utilizing the racket innovation. Yonex perfectly identifies the need to modern game .i.e. lightening fast shuttle speed. 1.This racket manufactured with Graphite, Tungsten material. 3.Racket weight is around 88 g with G4 grip configuration. 5.Racket used control support cap which offers 88% flat surface to hold the racket which results into better grip.